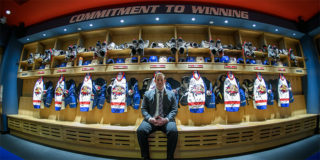 The Moncton Wildcats will play their first game of the weekend tonight, attempting to end a four-game losing streak while their Maritime rivals, the Charlottetown Islanders, are in town at the Avenir Centre. Your Wildcats will face the Islanders for the sixth time this season. In their last five games against the Islanders, Cats came out with the victory only once, but will look to change that fate tonight. 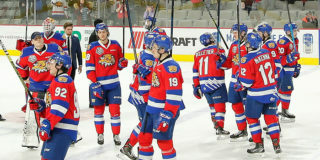 The last game against the Isles was at the Avenir Centre on January 13 with a 4-1 Wildcats victory! 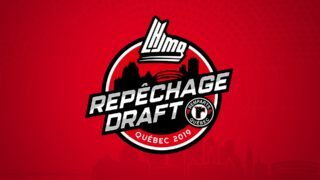 The Islanders (28-14-2-3), who also have their first game of the weekend, currently have 61 points, placing them seventh overall in the league, while Moncton (26-17-3-3) is now ninth overall with 58 points. In the Maritime Division, Charlottetown is third and Moncton fourth. The Wildcats have lost 8 of their last 10 games while the Islanders have won 3 of their last 6 games. 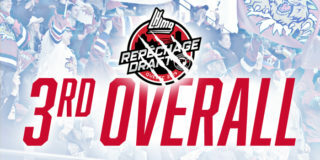 Get your tickets for tonight’s game online at www.ticketmaster.ca or at the Subaru Moncton counter at Avenir Centre. Wildcats forward, Jeremy McKenna from Prince Edward Island leads his team and is fourth in the league with 73 points, 32 goals and 41 assists. Of these 32 goals, 8 of them were against the Islanders. Another native of Prince Edward Island is Jordan Spence, who now holds the rookie defenseman’s point record with 38 points in 49 games. Islanders Forward, Daniel Hardie leads his team with 59 points, 31 goals and 28 assists. 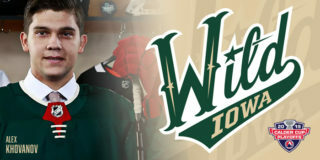 He is also third at the league level for game winning goals. Goaltender, Matthew Welsh 23th in the league with a percentage of efficiencies of 0.902.